I have two shapefiles. One is the DMA and another of states. Is there any way I can create a query that will artifically increase the size of the DMA to match the state boundaries? The reason why I need this is because I plan on going a large spatial join with coordinates and I know alot of people will not be counted for if we use the current DMA shapefile. I saw on you page that you converted a shapefile to topojson. Try getting the original DMA shapefile and projecting it so that it matches the state shapefile. I looks like a projection error. Also, the DMA doesn't match up with state boundaries, so a join might give you fits. You could do something like a spatial join or clip. Using OpenStreetMap for simulation of commuter routes? 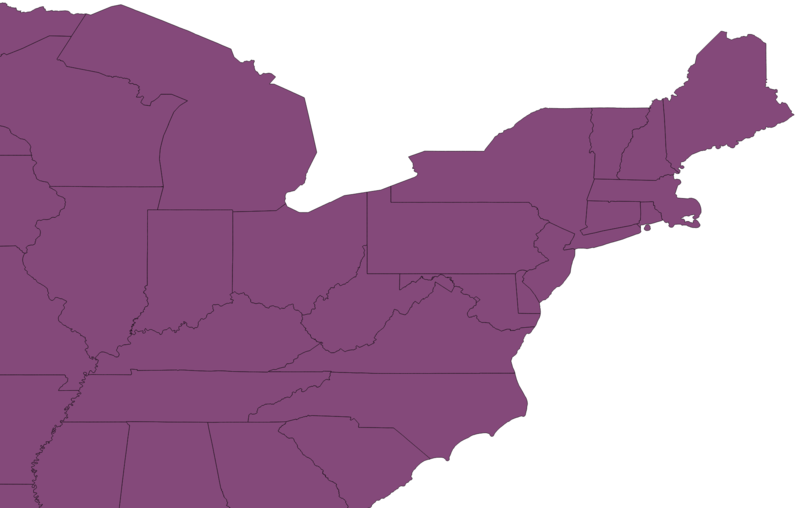 Separating Overlapping DMAs by State using PostGIS? Finding four states each of six pairs of which have common boundary using PostGIS?